The family of pilot David Ibbotson launch a GoFundMe campaign to locate and recover his body, raising thousands of pounds within hours. Footballer Emiliano Sala's body was recently found in the wreckage and recovered two weeks after the plane first went missing. A fundraising appeal starts to find the body of David Ibbotson who was flying Emiliano Sala's plane. 2019-02-7 The lone body found in the Piper PA-46 Malibu that disappeared two weeks ago is confirmed to be that of missing footballer Emiliano Sala. The pilot remains missing, presumed dead. 2019-02-25 The Air Accidents Investigation Branch of the United Kingdom issues an interim report revealing the pilot, David Ibbotson, held only a private pilots licence and could not transport paying passengers within the European Union. 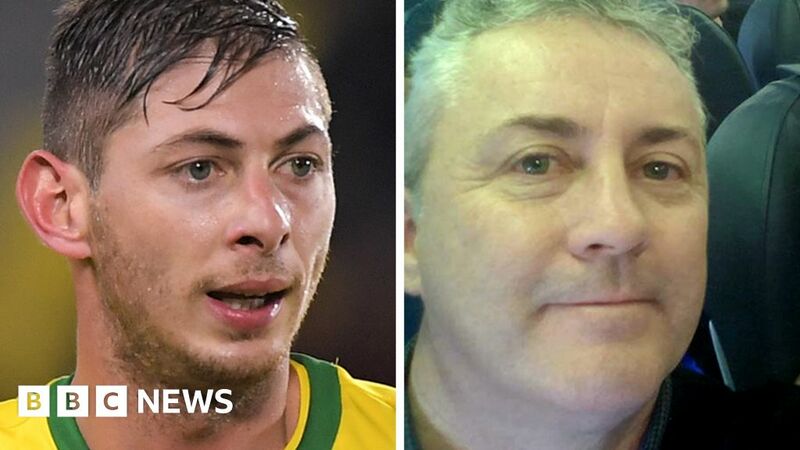 Ibbotson and Argentinian footballer Emiliano Sala both died in the accident. Cardiff City FC announce "grave concerns" over Ibbotson's licence. 2019-02-3 The wreckage of the Piper PA-46 Malibu light aircraft, which went missing on January 21, 2019, with two people on board, including Cardiff City F.C. record signing Emiliano Sala, is discovered on the seabed of the English Channel. 2019-01-22 In the Channel Islands, a multinational search and rescue operation for a missing aircraft carrying Cardiff City F.C. footballer Emiliano Sala resumes, after fading light and deteriorating weather conditions caused the search to be called off the previous day. 2019-01-21 A Piper Malibu light aircraft, carrying two people on a flight from Nantes to Cardiff, goes missing off the coast of Alderney in the Channel Islands. A major search and rescue operation is underway. Cardiff City F.C. footballer Emiliano Sala is confirmed to have been on board the missing aircraft.